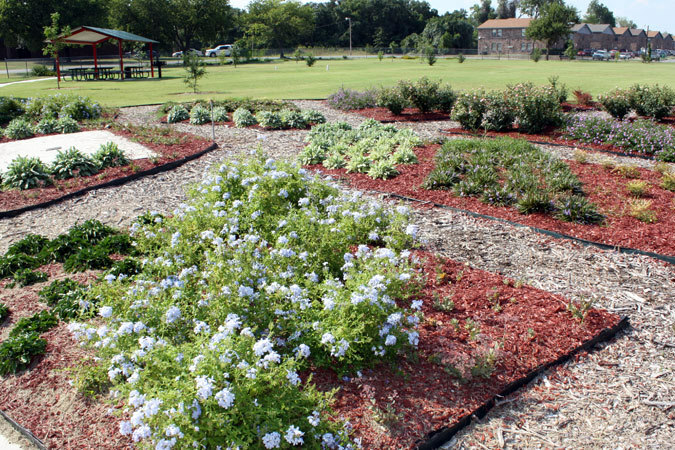 Haltom City has 11 parks located throughout the city that are maintained by the Parks & Recreation Department. Rent a pavilion at one of our parks for $10/hour, with a minimum of two hours and a maximum of four hours. Reservations must be done in person at the Haltom City Recreation Center, located at 4839 Broadway Ave. Some park reservations require a $30 cash deposit for a restroom key. 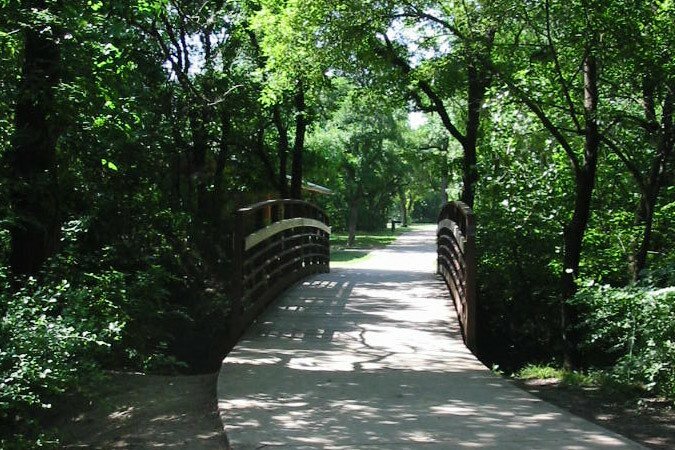 Located at 5713 Orval Court, Birdville Trails Park is a 6.8 acre Neighborhood Park featuring a 0.47 mile hike and bike trail, picnic pavilion, playground and restroom. Located just behind the Recreation Center at 4839 Broadway Ave., Broadway Park is a 15.0 acre neighborhood park with a multi-use pavilion, two playground areas, three lighted youth ball fields, concession stand, restrooms, flag football field, youth football fields, picnic areas, tennis court, inline hockey rink, and a water sprayground. See photo gallery of Broadway Park. 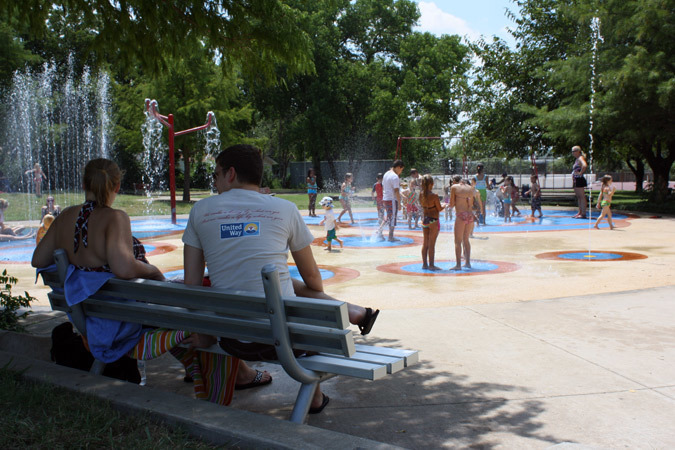 The city's largest park, Buffalo Ridge Park is an expansive 95.0 acre community park with a multi-use pavilion, playground, Haltom High School girls softball field, and several picnic areas and park benches. 3.0 miles of jogging/walking/cycling trails are contained within the park, which is located at 5720 Parkwood Trail. See a photo gallery of Buffalo Ridge Park. 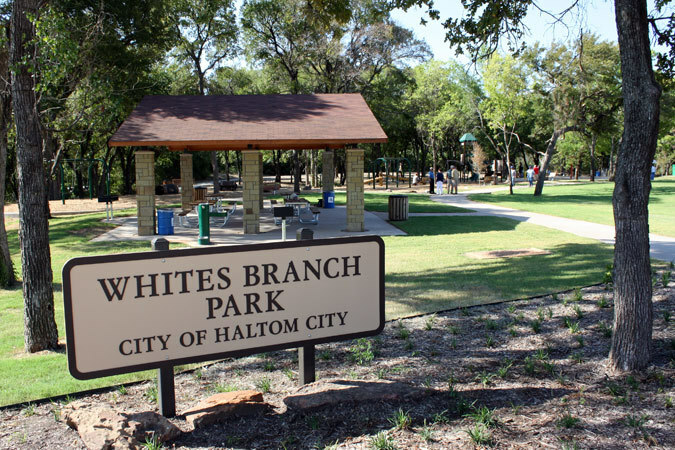 Featuring a 0.37 mile walking/jogging trail, Haltom Road Park is a 9.0 acre neighborhood park with a small shelter, restrooms, playground, picnic areas and a baseball/football practice field. Haltom Road Park is located at 3113 Haltom Rd. Haltom Road Park is also the site of our newly constructed Haltom City Veterans Memorial, completed in November, 2017. See a photo gallery of Haltom Road Park. See a photo gallery of Little Fossil Park. Located just north of 820 at 5220 Denton Hwy. North Park is a 45.87 acre community park that is shared with the Northeast Optimist Club. Haltom City maintains a lighted adult softball field, concession stand, restrooms, new playground equipment, picnic areas, basketball courts, and combined youth baseball and soccer practice field. 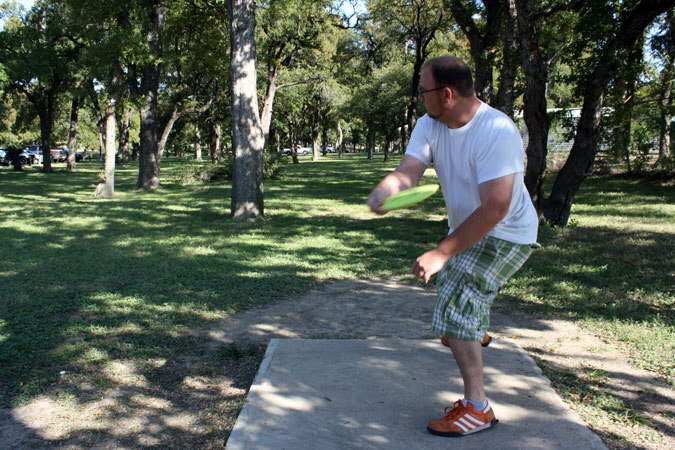 North Park also contains an 18 hole disc golf course. See photo gallery of North Park. Located at 4408 Parrish Rd., Parrish Road Park is a 0.3 acre neighborhood park with picnic area and new playground equipment. See photo gallery of Parrish Road Park. 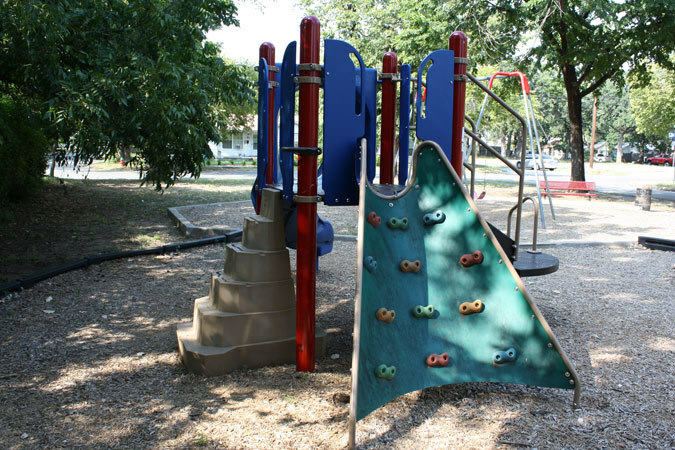 Located at 6200 Ellison Ave., Pecan Park is a 4.94 acre neighborhood park with a multi-use shelter, new playground equipment, practice ball field, picnic areas, and a quarter-mile walking trail. See photo gallery of Pecan Park. Located at 4150 Revere St., just north of Stanley Keller, Revere Park features a walking trail, picnic pavilion and swings. Seee a photo gallery of Revere Park. Located next to the Haltom City Senior Center at 5000 Bernice St., Sandy Oaks Park is a 4.11 acre neighborhood park with a playground, picnic area, unlighted practice fields, outdoor covered work-out equipment and a walking trail that circles the park. See a photo gallery of Sandy Oaks Park. Located at 5290 Western Center Blvd., Whites Branch Park is a 20 acre park that features two playgrounds, a water sprayground and a picnic pavilion. The sprayground utilizes a recycling water system that is also used for irrigation of the park grounds. A hike/bike trail will connect to Watauga and Fort Worth to the north. The trail connects with Buffalo Ridge Park to the south. The sprayground operates between the weekends of Memorial Day and Labor Day. See a photo gallery of Whites Branch Park.